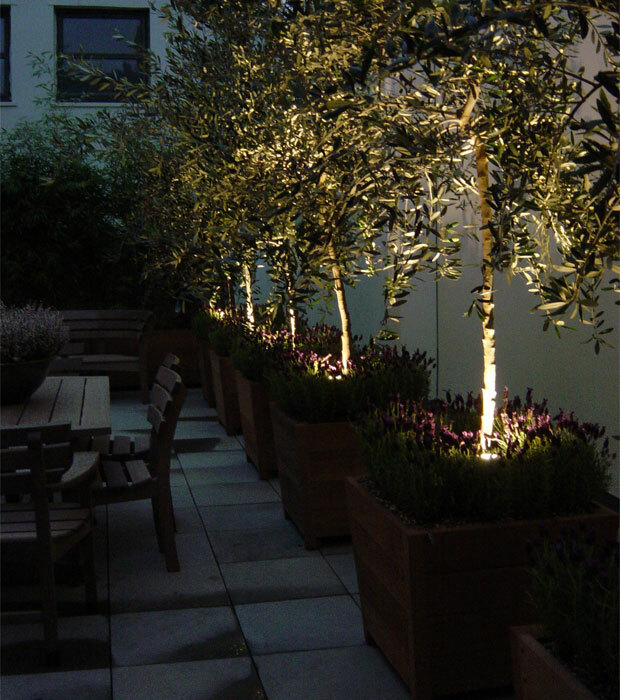 We have created many gardens for property developers over the years of which this is probably one of our most successful. 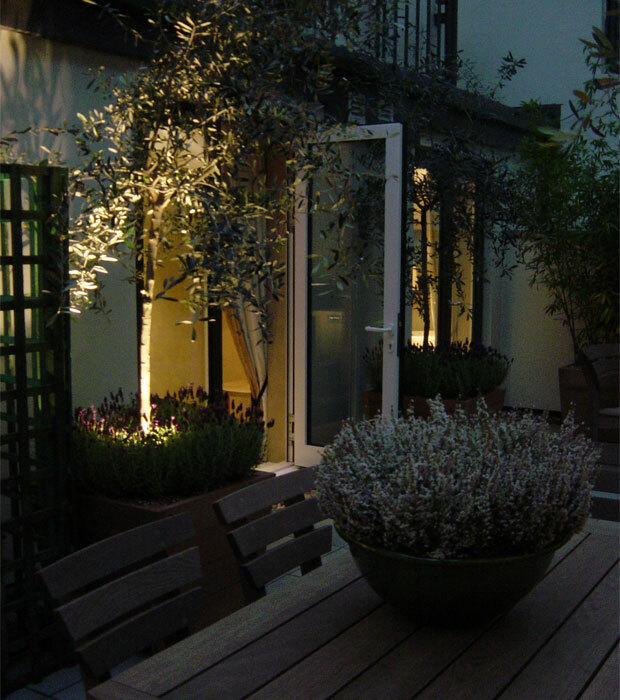 The garden was for the main show home in a development of apartments, originally part of the Harrods estate. It was effectively a roof garden with the challenge of high walls to three sides. 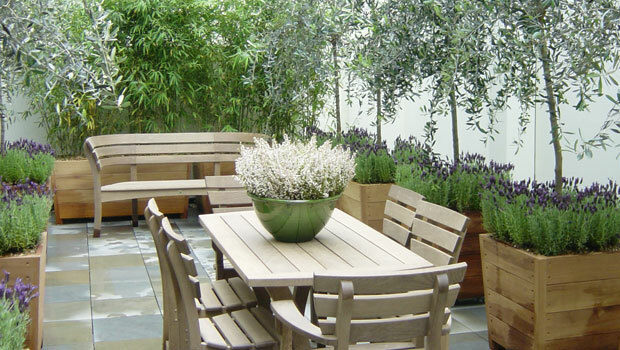 A classic combination of oak Oxford Planters, furniture from Gaze Burvill and a planting of olive trees, lavender and other aromatics created a garden focussed in to the space. A Simon Percival water sculpture and lighting created views from the three sides of the apartment, which sold in record time.